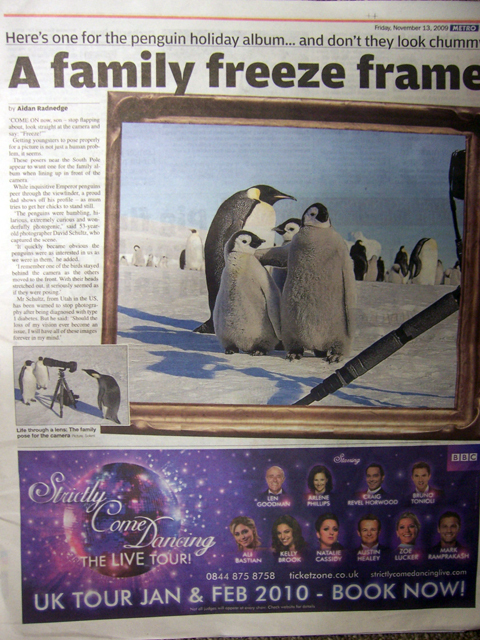 A bunch of Emperor penguins have been photographed posing for a family portrait, report today's newspapers. A bunch of Emperor penguins have been photographed posing for a family portrait, report today’s newspapers. Photographer David Schultz apparently captured the bizarre scene near the South Pole.